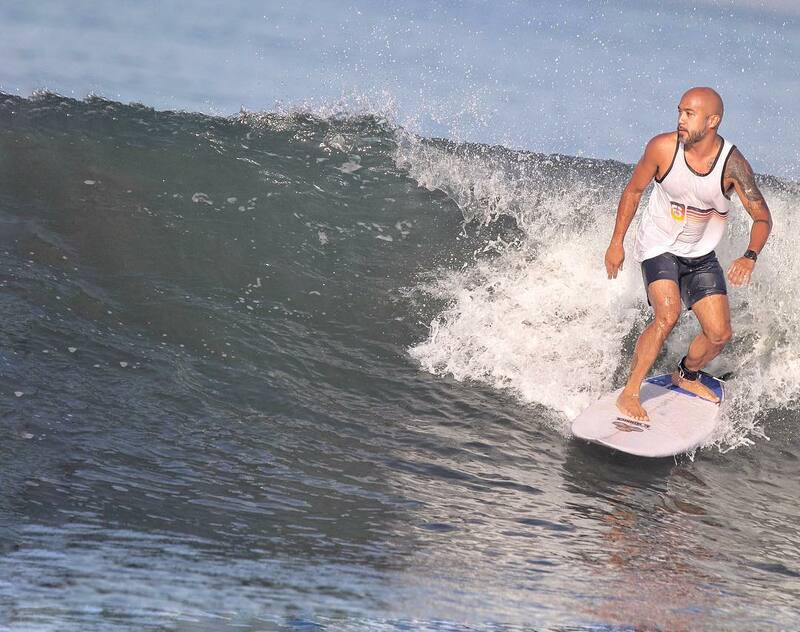 It was Cris Par, a local surfing instructor from La Union, who taught Chef JP how to surf. As he gets deeper into the sport, he also works out to prepare his body for the next best surfing experience. “I try to be fit, because of surfing. Everything in my workout routine is related to surfing. It may look cool for a sport, but it’s hard. I am thankful for it made me grounded,” says Chef JP. In fact, in a stroke of luck, what seemed to be a hobby led him to a hosting gig for a travel show in CNN Philippines that features his love of surfing and his passion for local culinary. Just as a surfer glides freely along the waves, he explains, ideas flow overwhelmingly and naturally as he concocts new dishes for commissioned projects or his thriving restaurant businesses. It was, indeed, surfing that fuels his creative juices. In all of his surfing adventures in different places in the country, he makes sure he brings his celebrity status to good use by uplifting home cooked Filipino flavors and the story of the local people enjoying them. Such is the reason Tanduay Distillers took an interest on his work and eventually made Chef JP its newest brand ambassador. “I love cooking with alcohol. When I started surfing, I used Tanduay in the dishes I make. When we opened our restaurant Sarsa, we put Tanduay in our garlic rice or when we sautéed onions,” he reveals. He even shares how in one of his trips to Siargao he prepared lugaw and sardinas with leftover Tanduay Rhum from a drinking session the night before. Together with friends and the local community where they stayed, they all shared the humble meal made special with Tanduay Rhum. “What makes Tanduay gather a strong following like me as a lifestyle influencer? First, we’re both local. Affordable, pero malakas ang dating. Flavor is complex, but it hits the spot. My cooking is rooted in familiarity and comfort, and at the same time, satisfaction. Lastly, when we drink Tanduay, it’s always a happy feeling,” sums up Chef JP. Watch Chef JP creates specialty dishes that perfectly match Tanduay Rhum in a new series of online videos posted on the Tanduay Rhum official Facebook page.